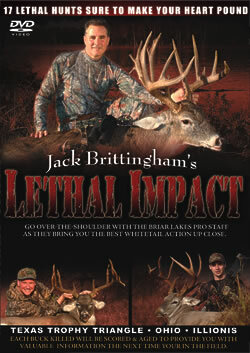 Continuing the Briar Lakes Productions tradition of Hunting Excellence, we are proud to bring you “LETHAL IMPACT”. 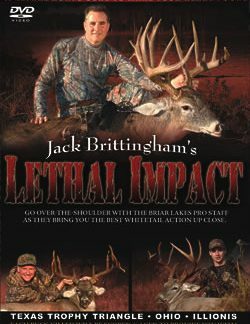 Ignite your hunting passion and feel the rush of whitetail adrenaline as Briar Lakes Productions brings you Lethal Impact. You’ll go over-the-shoulder for 17 heart-pounding hunts as the Briar Lakes Pro Staff tag some truly World Class Whitetails from the cornfields of Ohio to the Trophy Triangle of the South Texas brush country. 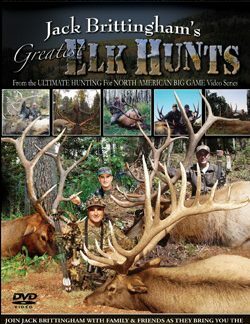 Join Jack Brittingham with family and friends in the whitetail stand as they discover the thrills and disappointments of matching wits with America’s most alluring and challenging big game animal. 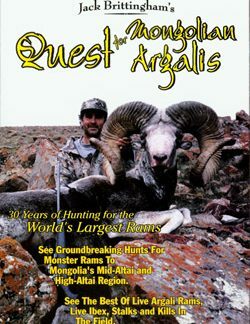 Each hunt contains valuable information on whitetail management, food plots, aging and scoring as well as hunting tips and tricks from Jack Brittingham and the Briar Lakes Pro Staff. Whether it’s the flash of a flagging tail or the flicker of antlers in the timber, no other single animal in North America ignites the hunting passion in so many of us… as the white-tailed deer.